Food sovereignty and not merely security, land ownership not tenancy, and thriving not just surviving are the goals of an Earthcare Coalition mobilizing around the United Nations International Decade for People of African Descent. Food sovereignty is “the right of people to healthy and culturally-appropriate food produced through ecologically sound and sustainable methods.” Most importantly, the Earthcare Coalition underscores the need for people of African descent to define, own, and manage their own food and agriculture systems. Food production and the land to support it are essential to marginalized people throughout the world who are the most vulnerable to accelerating climate change. Chefs Tarsha Gary and Matthew Raiford, culinary artist-activists from Houston, TX and Brunswick, GA respectively, are contributing their wisdom to movement-building around “The Decade,” in response. A coalition of organizations from throughout the African Diaspora is working on "The Decade” to encourage people of African descent to own and make full use of the means of food production against the backdrop of climate change and resource depletion. A goal of the Earthcare Coalition through 2024 is to propel food sovereignty onto the front burner of awareness among the 133,939,990 people in the Diaspora. The Coalition is generating conversations which strengthen bonds within the Diaspora and yield Afrocentric food production solutions. In 2017, the group will initiate an ongoing series of coordinated events at the United Nations and beyond to build and prepare diaspora networks for concerted action. 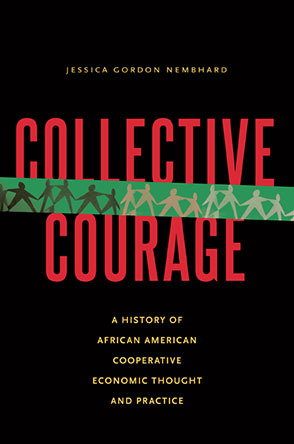 Coalition partners include: the Historically Black College and University (HBCU) Climate Action Consortium, Quaker Earthcare Witness (QEW), the DC-based Black Belt Justice Center, The Unitarian Universalist Association (UUA), The Black Family Land Trust, and the Africa Platform among many other proponents of food sovereignty. Ecotone, an environmental education organization founded by Chef Tarsha Gary, and Gillard Farms, the 176 acre family farm and anchor for Chef Matthew Raiford’s activism are in the mix. Master Chef Raiford’s “other life” is that of a returning generation farmer in rural, coastal Georgia. Matthew’s work connects farm to fork, and every step of that process is African American owned and managed. Award-winning gourmet pastry-chef-turned-environmental activist, Tarsha Gary, has transfigured St. Charles Street in Houston’s historic third ward into a dynamic organic gardening classroom which is transforming the urban landscape. These renowned chefs have connected the dots. They know that African Americans’ ability to hold onto their land, and to collectively master all aspects of food production will be key to successfully navigating the climate turbulence ahead. Matthew and Tarsha are on the fast track. Through the UN Decade Earthcare Coalition, they and others have a platform to mobilize thousands of food sovereignty activists. Trained in classic French cuisine, Matthew Raiford was formerly the Executive Chef of Little St. Simons Island, a private resort located off the coast of Georgia. Earlier in his career as Executive Chef of Haute Catering at the House of Representatives in Washington, D.C., Matthew and his staff of 75 were responsible for the National Defense University, National Archives, Pentagon Conference Center and Library, and the Canadian Embassy. Matthew made a life-altering decision. His distinguished past is now prologue to a sustainable, entirely self-determined future. He returned home to rural Brunswick, Georgia to become a sixth generation farmer on Guillard Farms which his family has owned since 1874. As a restaurateur-caterer-farmer, he makes combined use of a degree from The Culinary Institute of America, 15 years at the top of his game as a chef, and certification in Ecological Horticulture. The restaurant and catering business Matthew owns and manages, The Farmer and the Larder, serves fresh organic food that he grows on Guillard Farms. Family tradition is everything. At a family reunion Matthew and his sister Althea were surprise-gifted land by their mother and aunts in addition to that which the duo had already inherited from their great grandmother. They now grow foods which are native to the local area, including Muscadine grapes which have been in the family for 100 years. Their 73-year-old father, a baker by trade, helps out on the farm, honoring the memory of patriarch Jupiter Guillard, the original owner of the property. Keeping the land in the family, and food autonomy are compelling rewards for the hard work. While relocalizing food production is uppermost in Raiford’s mind, he stays connected to big picture agriculture, lecturing and teaching about the returning generation farmers’ movement and agroecology. In 2014 he attended the Slow Food movement’s Terra Madre annual gathering in Turin, Italy. As a delegate for the Southeastern African American Farmers’ Organic Network (SAFFON) to Terra Madre, he compared notes with farmers and food advocates from around the world. Matthew began the journey by asking, “How do I get involved in Slow Food and get the more global perspective? We can always talk about home, but as you start to broaden your horizons, it’s really what’s going on in the world as a whole that takes care of home. Where are we on that global scene? I want to be part of that whole movement.” The UN Decade for People of African Descent offers Earthcare Coalition members and allies a similar opportunity for transnational idea exchange as the networking gains momentum throughout the Diaspora. Likewise, Tarsha Gary’s kitchen-alchemy-magic extends far beyond that of the Crave Gourmet Bakery and Catered Cafe which she established and manages in Houston. In founding Ecotone, a non-profit that promotes an urban, “green vision”, she is ushering a generation of African American youth into an important food production workforce pipeline. Ecotone’s youth enrichment program offers, “Community Kids Cook with Chef Tarsha,” a series of summer cooking classes in collaboration with Neighborhood Centers Inc. Tarsha exposes children to a career path that links organic gardening, food education, and culinary skills-development. The pace of 21st century life and youth addiction to electronic devices has eroded the time-honored role of the African American matriarchs who raised grandchildren to appreciate meals around Grandma’s table. The city of Houston continually recognizes and celebrates the years that Tarsha has devoted to building urban gardening, youth culinary instruction, and environmental education initiatives. Tireless in her efforts, she also works with the Black Towns and Settlements Alliance to ensure the cultural preservation and sustainability of communities of color. Tarsha Gary and Matthew Raiford are each deeply immersed in preserving a localized cultural “appreciation of place,” in the metropolis of Houston, TX, and the coastal countryside of Brunswick GA respectively. Yet they also exemplify a growing awareness among African Americans that anticipation of more frequent climate disruptions calls for focused, deliberate, intra-community collaboration if marginalized communities are to survive and thrive. Generating urban-rural food system conversations that translate into sustained joint action is the need of the hour. Specifically, there is a need for meaningful, sustained discussion of linking Black urban growers and their communities to rural farmers. Add to this effort the need to use resourceful economic models that cultivate and connect young, returning generation African American farmers to elder farmers who can no longer fully work the land. The Earthcare Coalition on The Decade provides a forum for mapping how such relocalised food systems might ideally look. Urban and rural farming and gardening are best framed as two key ingredients in a larger system of converging African American food production and sovereignty movements. They are like two sides of one coin that don’t intersect, yet one can’t exist without the other. Interconnection and collaboration can be powerful even as each domain plays its unique role. The Earthcare Coalition’s UN Decade for People of African Descent work underscores the need for people throughout the Diaspora to bridge these divides as we map out and consider models such as cooperatives for strategically augmenting, relocalizing, AND democratizing food production. The urgency of reckoning with drought, flooding, increased storm frequency and intensity, population displacement etc., etc. is already upon us. It behooves us to think through pragmatic, local, actionable responses to food and water resource management that meet the specific needs of people of African descent in the Diaspora in these times of climate disruption. If we don’t, who will? The collaboration has to go deep enough to overcome centuries of instigated separation. The collaboration must be broad enough to encourage learning across the rich cultural diversity within the Diaspora. And the emerging collaboration must be authentic enough to endure as people of African descent throughout the world navigate the Great Transition into a resource depleted, carbon-constrained future.